Updated Monday March 10, 2014 by Auburn Riverside Youth Football and Cheer. 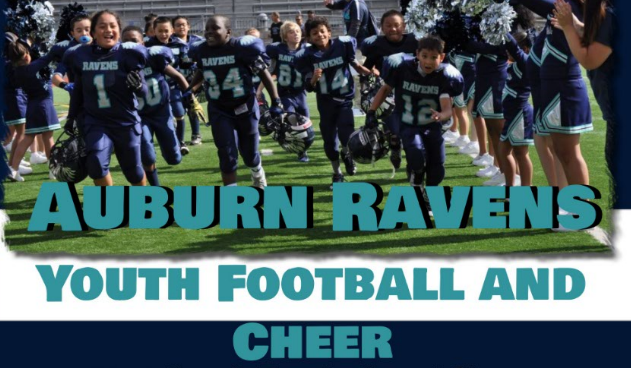 Auburn-area youth football players and cheerleaders have a new option this year with the formation of the Auburn Riverside Youth Football and Cheer organization. Starting this spring, the group will offer five football teams and a cheer squad for local children from first to eighth grade. The teams will compete in the Nisqually Junior Football League along with teams from Puyallup, Fife, Kent, Auburn, Buckley and Tacoma. "We're going to have five teams, divided into first and second grade, third and fourth grade, fifth grade, sixth grade, and seventh and eighth grade teams, as well as a cheer squad," said the organization's president, Adam Martinson. The notion to form a new organization to offer football and cheer to Auburn kids started during last year's youth football season, when Martinson was involved with the established Auburn Youth Football. "I felt that there was a better way to teach youth football and bring family and community together all year round," Martinson said. Martinson said that several other parents shared his dissatisfaction with AYL. "I felt it was better to start something different and not change what was there," he said. "My mission for this organization is for it to be a better organization than any other out there." "I respect what they do, I think we just have a different way of coaching and teaching," he said. "It's not always about winning a championship; it's about teaching the kids to love the game of football." Martinson, who grew up playing football in the Bothell area and for Inglemoor High School in the 1980s, said he hopes to share his love for the sport with youth in the Auburn area, which he says is underserved. "There are 14 grade schools in the Auburn district and four middle schools," he said. "In the Dieringer district, there are two grade schools and a middle school. There are almost 10,000 kids in these schools. To only have 150 kids playing for one organization is not enough." Martinson said hopes to field teams with 35-40 kids per squad and attract up to 80 participants for the cheer squad. The organization hosted the first of several parent meetings this past Friday at Auburn Riverside High School, and Martinson said 38 kids have already signed up. "Anyone can register online, and we're going to have some other registration dates soon," he said.